Prepare to unleash the ultimate form of shape-shifting devastation. Sgt James Heller’s incredible new Tendril power lets you lift and tear apart cars and military vehicles, ensnare powerful infected beasts and even rip large groups of enemies to shreds . Get ready to unleash hell! 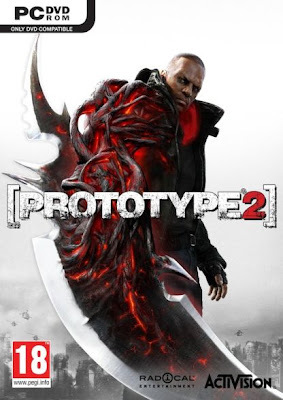 Prototype 2 delivers the raw power of character customization back into your hands, allowing players to creatively mix-n-match a devastating range of new Mutation perks into their ultimate Prototype. Faster and bigger locomotion abilities, sharper claws or even enhanced disguise abilities – the choice is yours! Imagine having the power to track down any enemy by unleashing a powerful sonar-pulse from your body! Sgt James Heller brings an all new dimension to the Prototype experience by letting you Hunt, Kill and Become anyone standing in your way. Disguise yourself as a soldier, scientist or anyone at all whilst absorbing their memories and acquiring new abilities. It doesn’t get any better than this! Next year, gamers will experience the epic story of Sgt James Heller attempting to take down the devil himself… Alex Mercer. Unraveled against the explosive backdrop of New York Zero and it’s vicious factions warring for control over the infection, Prototype 2 sets the stage for the ultimate showdown “event” videogame of 2012. Utilizing the unparalleled technology of Radical’s proprietary ‘Titanium 2.0’ engine, Prototype 2 will redefine gamer’s expectations of over-the-top open world action. Witness building-sized Infected behemoths bullrushing entire city streets, whilst gliding and parkouring across swarms of highly trained Blackwatch soldiers. Prototype 2 = Bigger, Badder, Better!